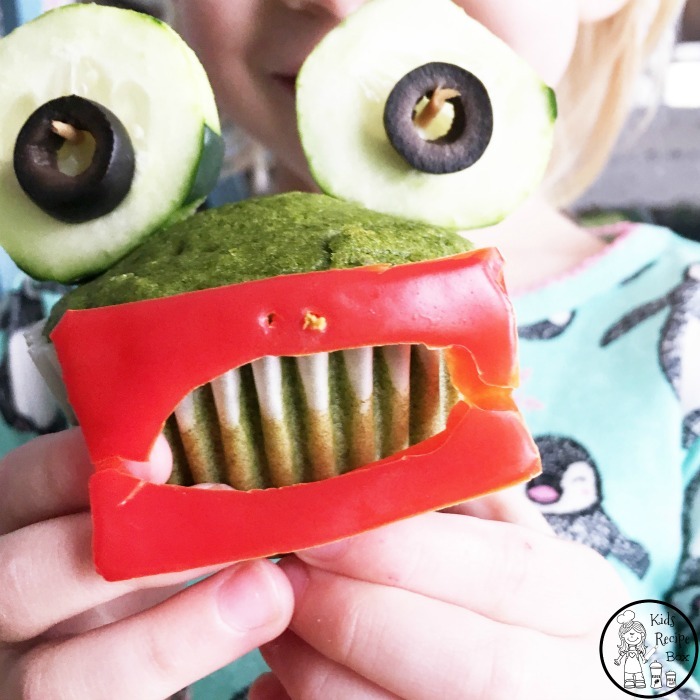 One of my all-time favorite children’s books is The Wide Mouthed Frog, and today I’m sharing our Wide Mouth Frog Spinach Muffins for kids. As an adult, and more specifically a parent, I’m realizing just how many Wide Mouthed Frogs there are in the world. People who are unwilling to try new things and are often heard saying the Frog’s famous tagline “I don’t like that!” And to be completely honest, as hard as I’ve tried to teach them to have an open mind and “Try it first cause it might taste good!” I have 3 Wide Mouthed Frogs of my very own. So the idea of getting my kids to try new things at the same time as making it fun is a genius idea to me. 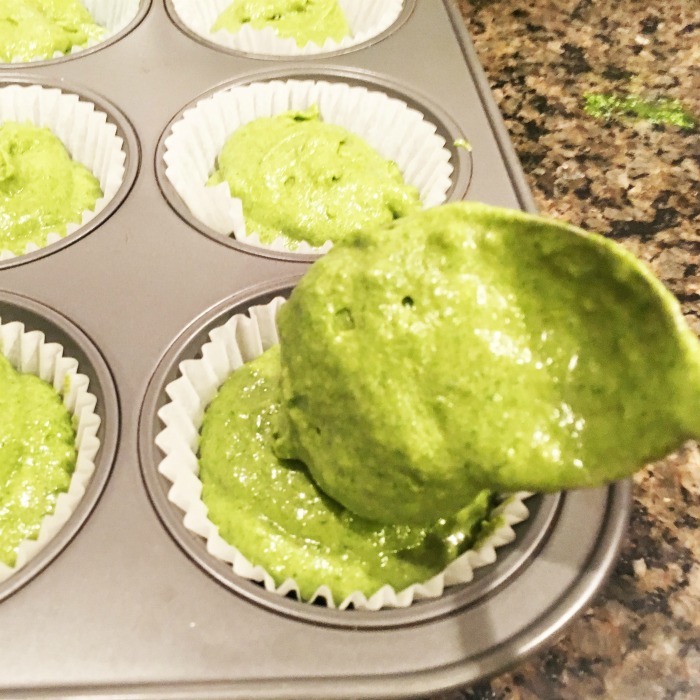 And I couldn’t think of a more fitting recipe to start this journey, then Wide Mouth Frog Spinach Muffins for kids. Spinach is tricky. It’s an interesting color of green, it has a bitter taste when eaten raw, and a slimy texture when cooked. 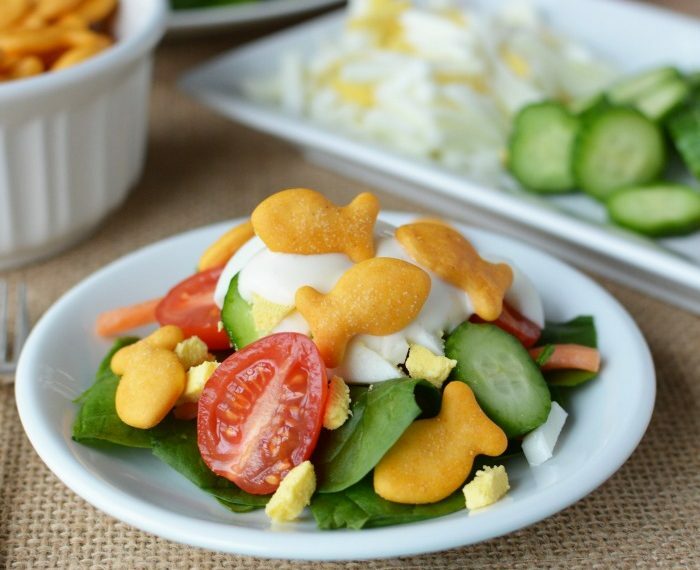 I quickly discovered that if I was going to get my kids to eat Spinach, I was going to have to hide it. 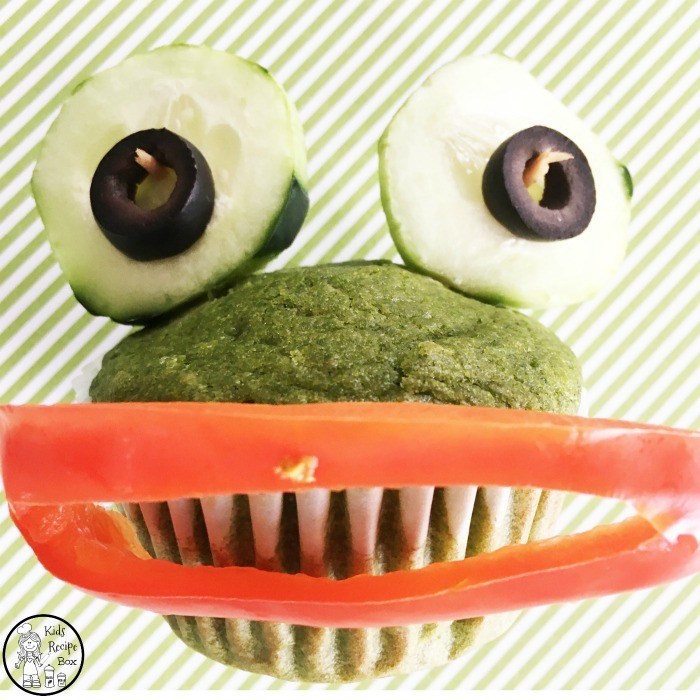 These Wide Mouthed Frog Spinach Muffins are perfect for that. 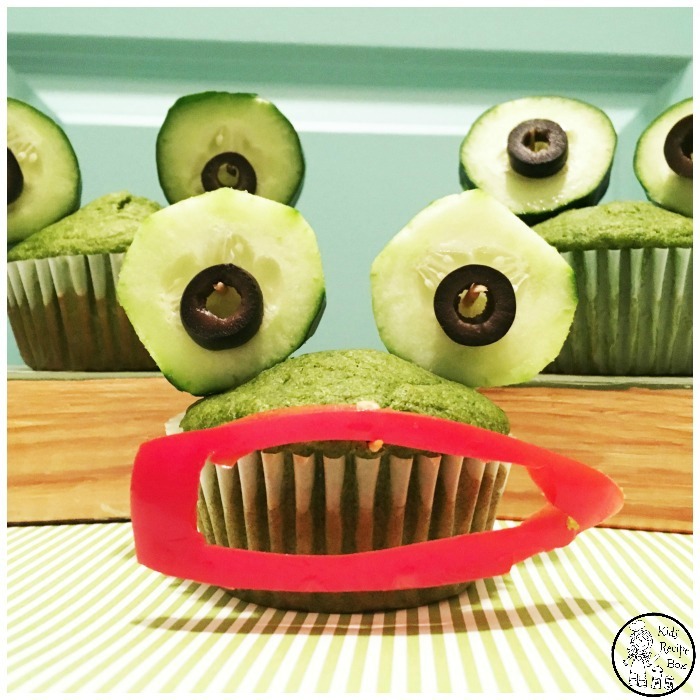 The green color is exactly the color frogs should be, and the muffin itself is sweet to the taste. My little froggies gobbled them up! Preheat oven to 350 degrees, line a muffin tin with paper liners. 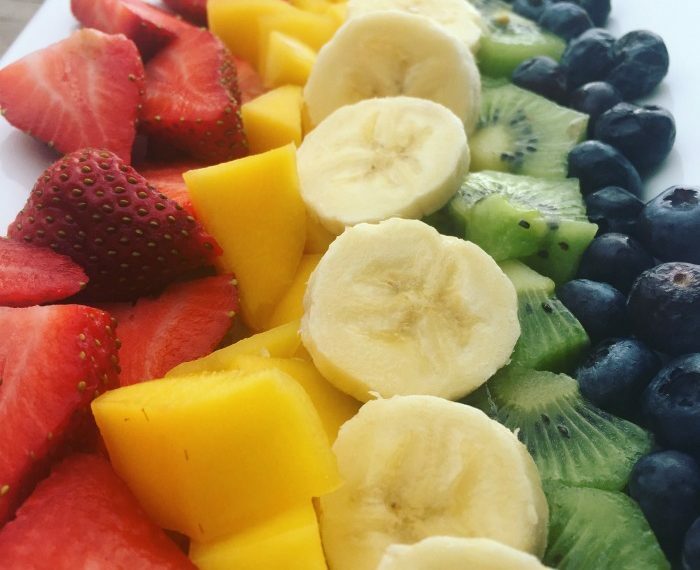 Pour the puree into dry ingredient bowl and mix together gently. Cool before adding cucumber/olive eyes, and red pepper mouth. 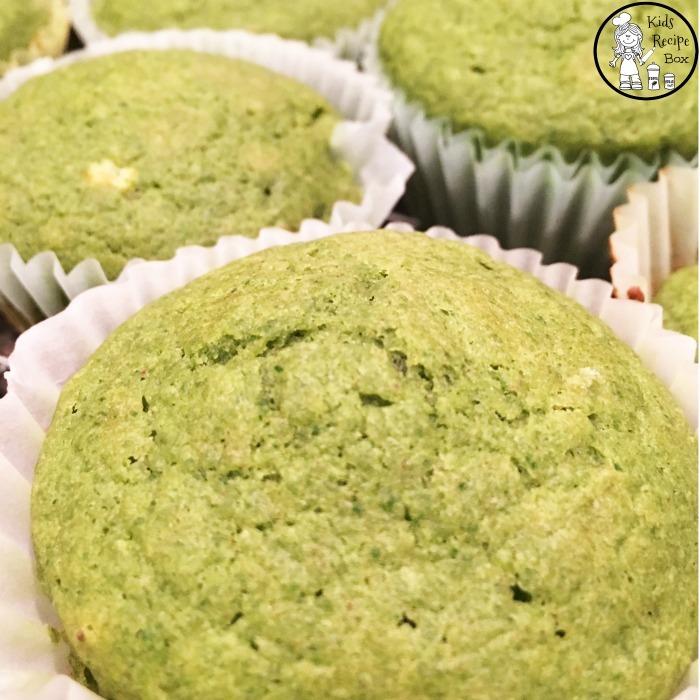 Thank you for checking out our Wide Mouth Frog Spinach Muffins. Read the book, and try something new today.